The Shito Ryu Karate of the Jikishin-Kai Intl. Shito-Ryu is the style of Karate-do which is taught within the Jikishin-kai. 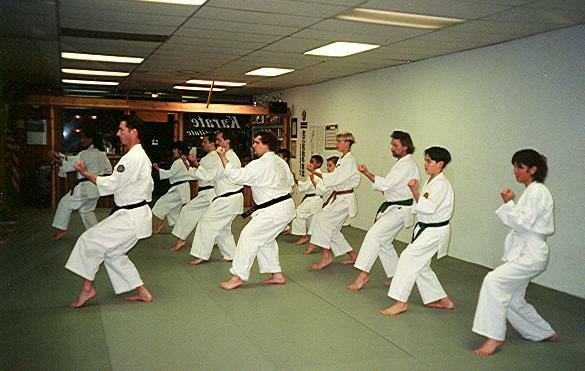 Shito-ryu is one of the major authentic styles of Japanese Karate-do which is still taught staying very close to it’s traditional Okinawan roots. The style was founded by Kenwa Mabuni, a student of Anko Itosu of Shuri-te and Higaonna Kanryo of Naha-Te. At Sakura Budokan we offer Shito Ryu karate as it has been transmitted to us through the second headmaster of Shito Ryu, Kenzo Mabuni Soke, the founders son.